If you can write well, it will become a valued skill in the workforce after you have completed your studies. Being able to present your ideas competently on paper translates into feeling confident enough to vocalize your concepts via public speaking forums as well. Developing your writing abilities improves your grades and your eloquence. Here are some of the best writing tips to help you present your essays, term papers, or dissertation with flair. Pacing and timing are a critical part of presenting an excellent essay or paper. Far too many students wait until the last minute before the panic and deadline sets in, and they have to bang something out the night before. There is even a sector of students who have conned themselves into thinking that they produce their best work in this way. Assignments are handed out at the beginning of a semester for a reason. It’s because the planning, research, writing, and proofreading take a long time to do. To pace yourself correctly, set aside a timetable for each process (two weeks for each stage) and stick to it rigidly. The measured pace at which you have approached the assignment will show in the completed work. If you are already out of time and still want to be able to present a credible essay or paper, you can always consider using a custom writing service instead. These services have a team of expert academic writers who will write your assignment to the highest level of presentation. This is a helpful stop-gap for any student who is down to a deadline and needs to have a non-plagiarized, completely original paper submission ready for next week. As any writer would know, it’s best to sketch out an outline of an essay before the writing itself begins. Your outline is the framework around which you can work your concept. Even if this process seems a little redundant, you should still spend some time, at least, to formulate something in your mind beforehand. 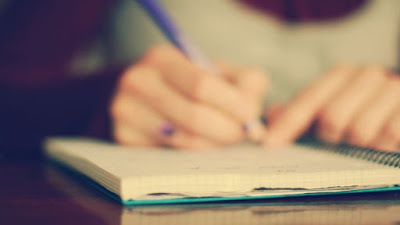 One of the things you should consider is making a list of all the points you wish to cover, a mental image of how you want your finished paper to look, and a statement of the intent and purpose you want to convey. When your essay has been well thought out before writing starts, it allows the rest of the writing to fall naturally into place. The outline should always be sketched out in the introduction, and then discussed in more detail in the body of work. Because the writing process can often be a fluid translation of the words and ideas in your head directly onto the paper, it can be easy to forget about adding paragraphs and periods. This can make reading an essay more challenging to do. Remember to stop now and then during your writing session to have a look at the structure of the words on the page. If it looks like a big block of words in the space, add a few paragraphs to break it into smaller sections. These simple writing tips will help you submit an essay that will get you an excellent grade.